Ahhh… the infamous words of an innocent little girl trying to find her way to the yellow brick road…. It’s pretty much the same feeling magnified a thousand-fold for innumerable numbers of children across the US and beyond, trying to understand, “How and why did I get here?” This mahogheny fortress… this foreign place with black robes, strange language and grownups I’ve never seen before…. Where is Mommy? Where is my favorite toy? It is in times of great stress, after the culmination of physical and /or sexual abuse or domestic –family violence, that a child is often “forced to tell” the circumstances of their ordeal… to face their accusers. The fact that a child would have to succumb to the laws of the land in the name of justice… (a term so abstract and misunderstood by most adults) is beyond all understanding. May I say, that the great halls of academia, other institutions or sterile clinical settings are not at all comforting for children They are scary places filled with the unknown virtually around every corner. As a little girl, Ladyjustice was made to take up residence in those scary medical setting over, and over and over again to face yet another surgery. They are more kid-friendly now. However, courtrooms have a LONG way to go in easing the pain of a child who is often re-victimized. It is a different story for at least 200 San Diego area families per year, as they are provided with a wonderful and innovative program offered by Leslie Peterson LCSW, RPT. “Shattered Lives” host, Ladyjustice had the good fortune to spend over an hour interviewing Leslie regarding some of the issues involved with child victims participating in the court process and the trauma informed care approach. Join us… You will learn a great deal…. The “sweet spot”….with a few options…. Leslie responds regarding the severity of response in therapy… and the neutral aspects of the Kids in Court Program…. 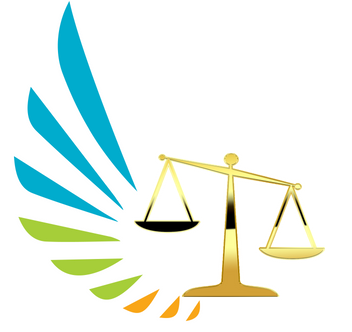 The bridge between the legal and therapeutic side….. Kids & Teens in Court and Trauma Counseling and the DA’s office… TEAMWORK! A set curriculum regarding activities …but customized…. Trauma…Is testifying in court traumatizing for life? So many factors…. Sexual abuse…a disempowering experience…and how to take it back…. A report card for the volunteer judges…. Defining hearsay… and the design of the EAA specifically for abuse child victims taken outside of the courtroom – seems to be tailor made for the EAA? Leslie’s response – the research shows it’s multifactorial…. A discussion of How Stress changes a Child’s brain…..
Dr. Vincent Felitti and the ACES – Adverse Childhood Experience Study…..
How did the Chadwick Center evolve and what is their treatment model? How are the activities chosen or structured? Are there different treatment models for different sources of trauma? What really happens with the kids and the parents each night during the program? How is this experience from the parent’s perspective? An array of parent reactions…. What’s the verdict on long term trauma for children? How do you define “Dependency Court” and what is the process? What techniques help to ease the child’s anxiety when seeing the perpetrator? What percentage of offenders is known to the child – whether parent or caretaker? How do they approach kids testifying in court in Canada? What does Dr. Bruce Perry’s research say regarding the brain after experiencing “calm and explosion” over a prolonged period of time? What physical condition was first identified with the ACE Study? The comments expressed on this website or on the broadcasts of Shattered Lives do not necessarily reflect the opinions or beliefs of the hosts, producers, or other guests. Previous “Growing a Conscience” Is it Possible With the Female Peer Group? Next Listened to the Radio Lately? Take a Survey!